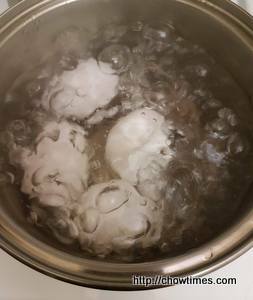 Place the eggs in cold water in a pot. Bring to a boil and let boil for 8 minutes. Drain and rinse under cold tap water for a few minutes to cool completely before peeling. 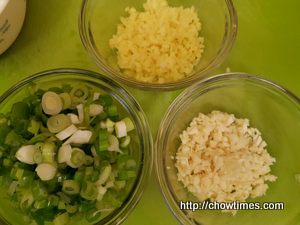 Meanwhile prepare chopped the ginger, garlic and green onions. 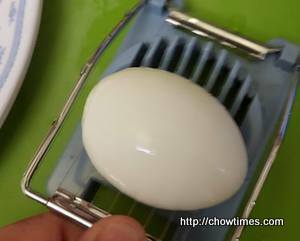 Slice the eggs, about 1.5cm thick, preferably using an egg slicer for cleaner cut. 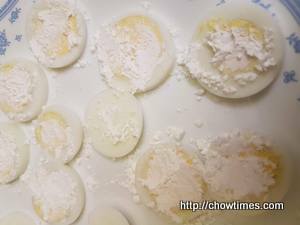 Coat the egg slices with cornstarch, especially between the crevasses of the egg white and yolk so that they stick together when frying. Heat the wok to medium high and add about 1/3 cup of oil. 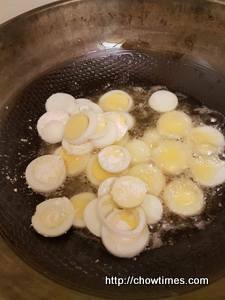 When the oil is hot, fry the egg slices. 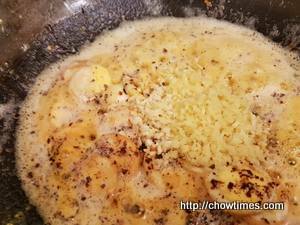 As the eggs fried, the proteins in the eggs will combine with the oil and makes the whole thing frothy, just like frying salted egg yolk. 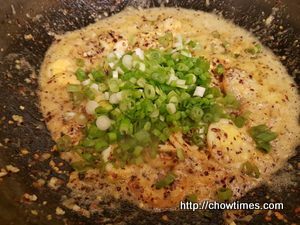 Add the ginger, garlic and chili flakes when it gets really frothy. Turn to medium low and give it a quick mix and cook for 15 seconds. 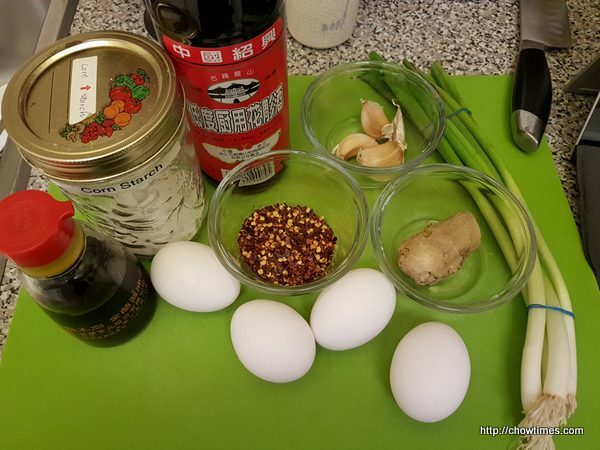 Drizzle the shaoxing wine and light soy sauce on the side of the wok and mix briefly. 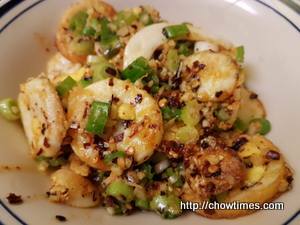 Sprinkle with green onions and fry for 10 to 15 seconds. 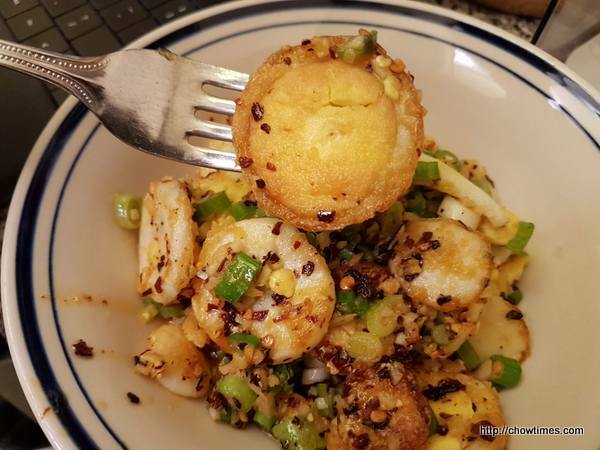 The green onions will reduce the frothiness of the sauce. Ladle on a plate and serve warm.